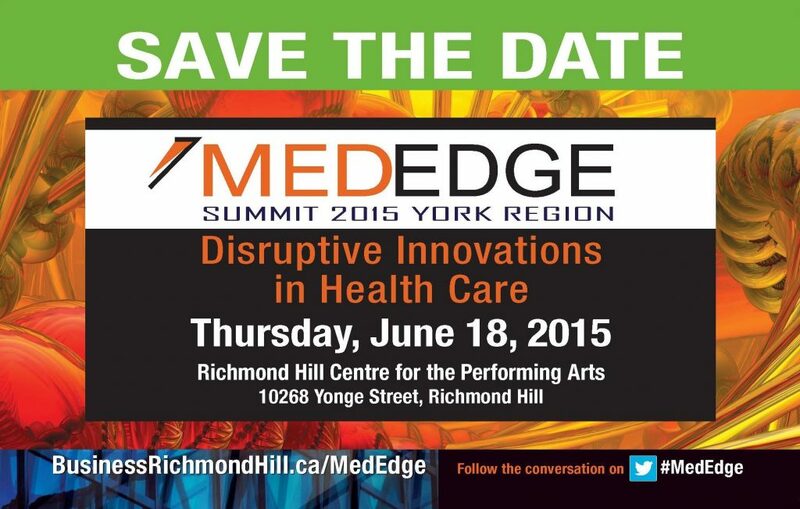 The Town of Richmond Hill, ventureLAB, and the Regional Municipality of York, will present the fifth annual MedEdge Summit on Thursday, June 18, 2015. MedEdge is a catalyst for advancing life science ideas, connections and innovation into commercial success in York Region and the GTA’s life sciences sector.. Hear about new health care technologies and innovations coming onto the market and how they will impact the future. Also, get the chance to network with leaders in business and health sector who are charting the future of health and wellness in Canada! Visit www.businessrichmondhill.ca/MedEdge for more information!